Tavares Group Consulting to Return to AIAG’s CR Summit - Tavares Group Consulting Inc.
Tavares Group Consulting is honoured to participate at the Automotive Industry Action Group’s (AIAG) 2018 Corporate Responsibility (CR) Summit, which takes place April 18 and 19th in Novi, Michigan. This premiere event allows professionals in the automotive, heavy industry and technology sectors working in sustainability and corporate responsibility, to network with other thought leaders, and gain insight on how to address pressing CR and sustainability issues. For the fourth year running, Sandra Tavares, Principal, Tavares Group Consulting Inc. will be leading a session at the summit. This year she and Mary McDonald of The McDonald Consulting Group will examine how to your environmental, health & safety systems, and sustainability initiatives can be integrated into a sustainability program. The presentation will provide strategies for integrating your EHS and sustainability systems through a process-based approach that meets all requirements. Tavares Group Consulting will also be exhibiting again with The Luminous Group LLC. As partners in quality, environmental and health & safety (EHS) management systems, The Luminous Group and Tavares Group Consulting, support clients in a range of industry sectors to improve quality, increase productivity, decrease costs, and advance sustainability. Visit us at booth #16 to see a demonstration of our sustainability management and reporting software, StaarsoftTM. 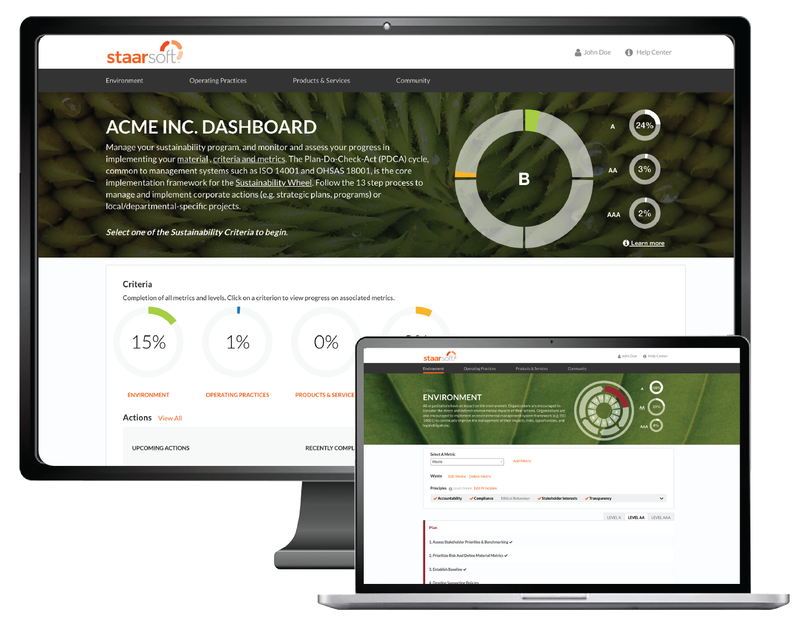 Founded in Tavares Group Consulting’s Sustainability Toolkit approach, StaarsoftTM guides organizations, step-by-step through the processof planning, implementing, and continually improving a comprehensive sustainability program. Make sure to follow Tavares Group Consulting and the AIAG on Twitter as we live Tweet from the event, using #AIAGCRSummit! AIAG’s 2018 CR Summit will be held at the Suburban Collection Showplace in Novi, Michigan from April 18-19, 2018. Regular registration rates are available until April 4, 2018. Click here for more information on this year’s CR Summit and to find out how to register for the event.